As I’ve said before, my son is a little obsessed with Cookie Monster. Naturally, this was his choice for a Halloween costume. I could spend $45 and buy one, or I could try to make one myself! (Though I’m halfway through the project now, and thinking buying was the smarter option.) 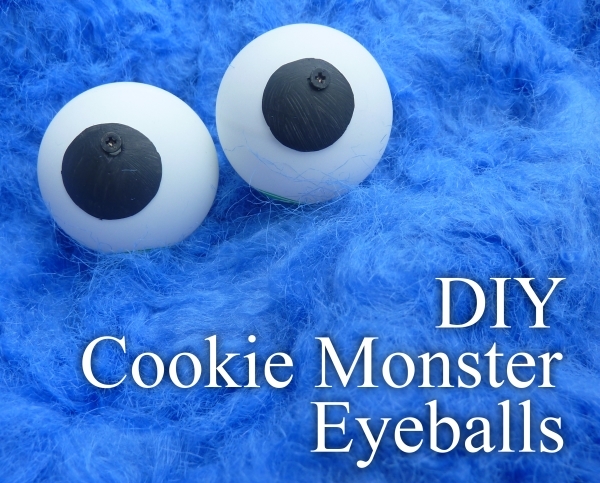 I’ll blog the rest of the project another day, but I wanted to hurry and get these eyes out there in case someone else needs to make them before Halloween. 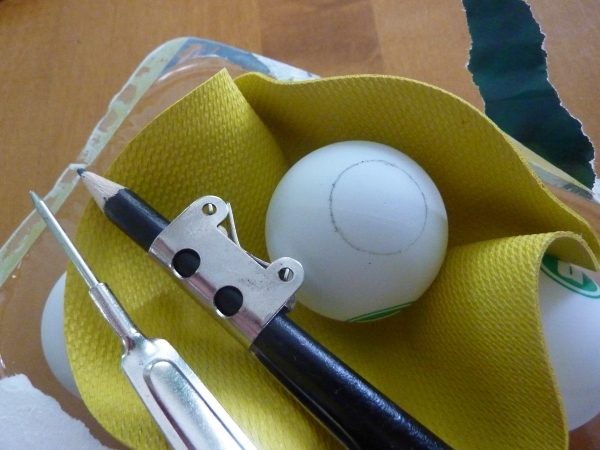 Handy to have: sandpaper or a nail file and a vice to hold the ping pong ball as you are cutting, though I made do without. How did I keep my ping pong ball still? A jar opener and the container the balls came in! Using the compass, draw a circle the size you want the pupil to be on one of the balls. The balls I used had graphics, but they were easy to avoid. For some reason the inside of the ping pong balls smelled awful, like mothballs! obviously you’re using a very sharp instrument with a small and smooth object, so it’s really easy to slip. I suggest using something non-living to hold the ball firmly in place. After you remove the circle (this is now the pupil), you can sand the edges to make them smoother. I used a nail file. Punch a hole OFF CENTER in the pupil. If your hole is dead center, the pupil won’t appear to move. The closer you get to the edge, the wilder the movement will be, but don’t put it so close that it’s structurally unsound. 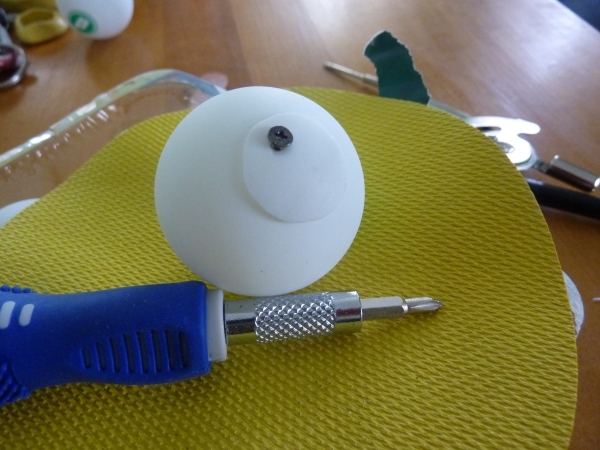 You’ll likely need to widen the hole so the pupil swings freely on the screw. You will also need to punch a hole in a fresh ping pong ball. I used the sharp end of my compass. 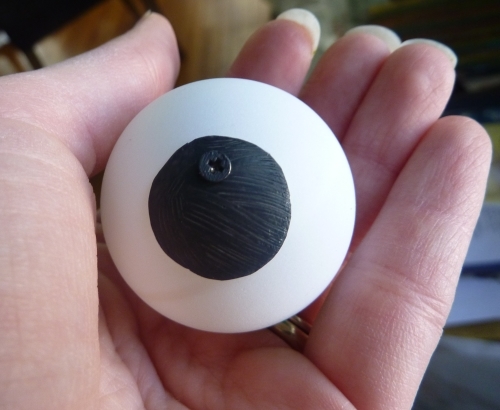 If your balls have logos like mine did, make sure that the part you will attach to the costume (or whatever) will hide the logos, and place the pupil appropriately. These tiny screws were left over from a computer build or something, but I imagine you could use the kind found in glasses. Insert the screw into the hole you made in the pupil, and make sure it doesn’t stick when you shake it around. 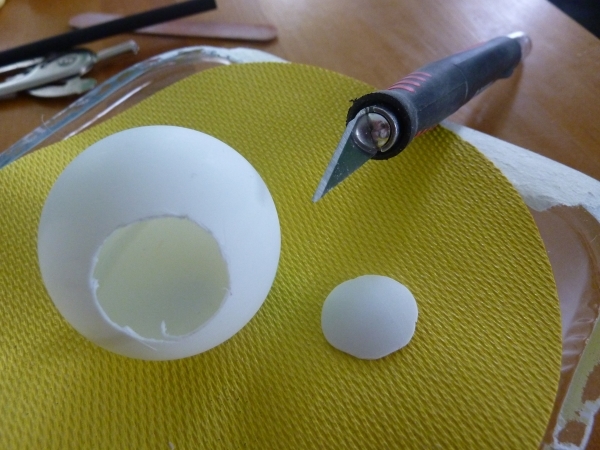 Then screw the pupil into the eyeball, stopping before you tighten it all the way (or the pupil won’t swing.) Shake it around again to make sure you’re happy with the movement. You may need to trim some from the pupil if it gets caught. 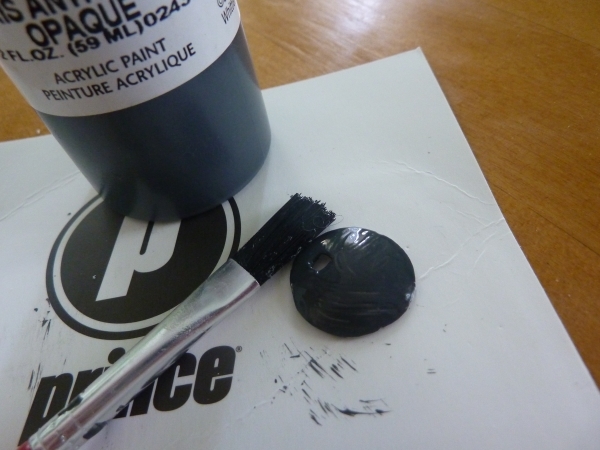 After the pupil moves like you want it to, unscrew it and paint it with black paint (I used acrylic craft paint.) Make sure not to paint the hole closed. You may need two coats. After it’s all dry, put the eyeball back together. You may want to paint the end of the screw to match the pupil. That’s it! Attach the eyes however you want. I haven’t done it yet, but I plan on putting two holes in the bottom and sewing them on, or if I’m feeling particularly lazy, maybe I’ll just hot glue them. The more I look at this picture, the more creeped out I get.